Email scammers are looking for ways to try to fool you, hoping to steal your login and password information to your online accounts. Some emails you can receive do look genuine so to help you, I have a few things that you can look out for if you are a little suspicious. Most scammer emails will have a redirect button i.e. “Sign In” or “Login” to your account. Pass your mouse over this and you should see at the left bottom of the page or next to the pointer a redirect URL address. This is the address that you will end up at if you click on the button. This URL address should point to the site that the email is from. For example if you have an online account at “myname.com” and the URL for the link shows up as anything different, then this could be a scam. Scammers sometimes add on to URL’s i.e. “info.myname.com” which is now a completely different URL address but, contains part of the original address. Take time to study the email for bad spelling or grammar or contact the online organization and ask them about the email you have received. Most online services will never ask you for your secure information. If you have entered your security information before you realized it may be a scam. Go online and change your password, contact your online service straight away for advice. Sometime an email seem pushy or too good to be true or contain information about you. Remember that nowadays there is a lot of information about you is available online. If you are still unsure a phone call would be my option. If you find a scam email in your inbox don’t just delete it. 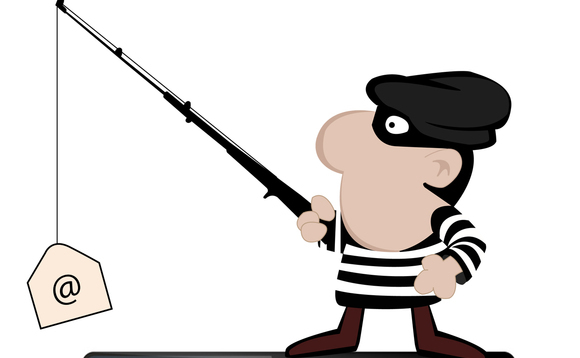 If your email provider has a “Phishing Scam” tab which allow you to send it to them use this. This will help their scam filters, which will help us all in the end.